Apple appears to be leasing a former Fiat Chrysler-owned proving grounds in Arizona to test autonomous vehicles, according to a source familiar with the matter. It’s the latest sign that one of the largest technology companies in the world isn’t as done with autonomous vehicles as expected, following the crash of its once-vaunted Project Titan last year. Apple scuttled plans last year to build a self-driving car of its own, after a haphazard effort—dubbed Project Titan—fell into disarray. Now, it’s focused on the underlying technology that can make an autonomous car drive itself. The proving grounds were used to help Chrysler test the impact of hot temperatures on cars and their components, the Big Three automaker said when it originally opened. A report from someone who went on a tour of the facility when it was under Chrysler ownership said that the facility contained multiple road surfaces, a high speed oval, steep grades, and areas for wet weather testing. Chrysler could also test corrosion and wear effects on body and paint by “forcing the vehicles through dirt, mud, and gravel in fast succession to pelt them with rock and stone chips and coat them thoroughly,” the report said. In 2005, the company then-called DaimlerChrysler sold the proving grounds for $312 million to a developer that planned to build 16,500 homes on the site, according to the Arizona Republic. The property was annexed by the City of Surprise a few years later, but the housing development plan eventually fell apart, leaving the site unused for the last several years. Records obtained by Jalopnik show there has been recent activity related to the property. Most recently, Surprise signed a development agreement in September 2016 with the site’s owner, which indicates the owner—SFI Grand Vista LLC—intended to lease the property to a company named Route 14 Investment Partners LLC. Route 14’s incorporation filings in Arizona and Delaware, obtained by Jalopnik, shed little insight. Surprise officials had nothing to add, either. If Apple’s indeed working out of the former Chrysler proving grounds, then the Phoenix area is quickly becoming a hub for work in the self-driving car space, said Bryant Walker Smith, an assistant law professor at the University of South Carolina who focuses on autonomous driving. Carmakers and autonomous tech developers have flocked to Arizona, a state which has promised a hands-off regulatory approach to self-driving cars. Waymo recently launched a driverless car pilot program in the Phoenix area, and Uber has been testing robotaxis in the state for months. 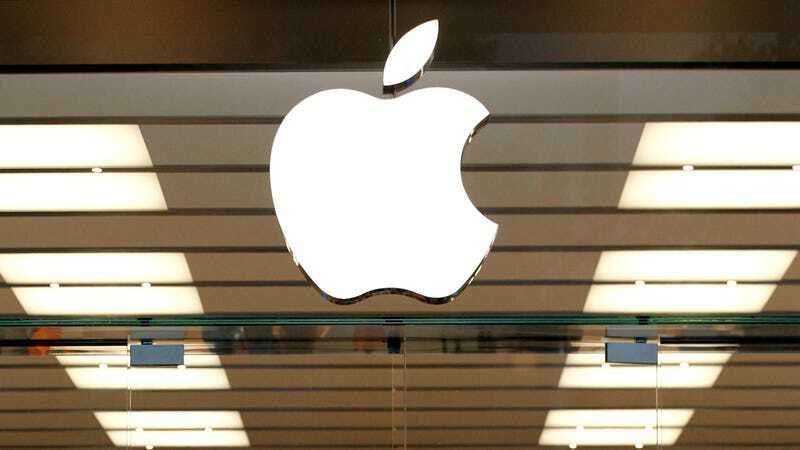 Apple publicly reemerged in the self-driving car field in April, when the California Department of Motor Vehicles granted the company a permit to test autonomous driving technology in three 2015 Lexus RX 450h sport utility vehicles. The permit covered six drivers, who actively monitor the car during testing. Documents later released by the state DMV showed that Apple leased some of the cars through Hertz. A video of what appeared to be an autonomous Apple car was published last month, revealing a bulky sensor suite atop the vehicle’s roof. As part of its scaled-back efforts, Apple’s now planning to develop a self-driving shuttle that would transport employees between Apple-owned buildings in California, the Times found. “It’s a core technology that we view as very important,” he said. A paper published this month by Apple researchers indicated the company is focused on LIDAR. Autonomous tech developers typically deploy a combination of cameras, sensors and LIDAR to allow a car to recognize the environment it’s operating in. But Apple’s researchers created a new software approach—dubbed “VoxelNet”—that generated “encouraging results” in 3D detection of pedestrians and cyclists using only LIDAR, the paper stated. A “big but convenient” space is necessary for Apple to try out things it’s not ready to share publicly—automotive or otherwise, said Walker Smith, the professor. With the former Chrysler Proving Grounds in Surprise, the company would have an ideal environment for testing autonomous cars, he said. Know anything about Apple’s self-driving car program? Drop me a line at ryan.felton@jalopnik.com or message me for my Signal contact here.